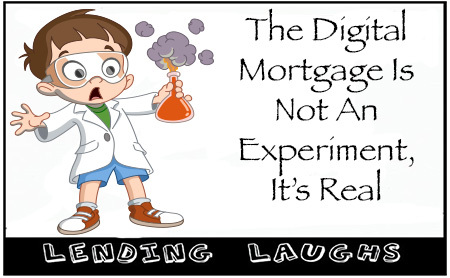 I recently returned from the National Mortgage News Digital Conference in San Francisco. There was a great turnout for the event and a number of discussions regarding what a digital mortgage is and where the industry headed. Since Quicken Loans launched that now famous Super Bowl AD for Rocket Mortgage, there has been a great deal of talk, energy, and resources focused on the front end tools and customer experience as it relates to a digital mortgage. But what many in the industry are missing is that to truly deliver on the digital mortgage experience, companies must automate the entire mortgage process— not just the front end user interface. 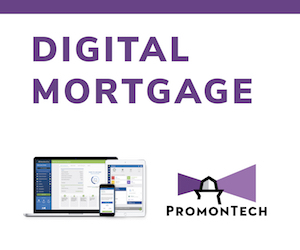 Where companies can gain the greatest ROI when investing in digital is to automate the many manual tasks throughout the mortgage process. The origination process between originator, processor, borrower, realtor, title agent and all other parties to the transaction is very interactive to say the least. In our highly regulated lending environment, complexity has created additional processes and more room for error. Loan quality takes a hit as more manual checklists have been created, and more data must be validated. For the vast majority of mortgage lenders, email is the main communication method while the CRM and LOS systems are the central lead and loan repositories. This means leads, preapprovals, loans, business contacts and documents all must be dispositioned in systems that must focus on quality. The process becomes chaotic with documents in different places, tasks being completed by different people at different times with no real way to manage, track, and communicate properly. This lengthens turn-times by creating bottlenecks at various stages in the loan process. Communication then becomes reactive rather than proactive. 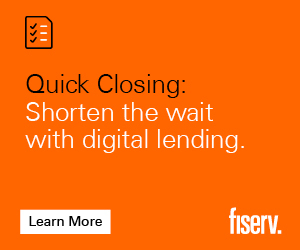 When this happens, even the greatest digital point-of-sale tool will not deliver the digital mortgage experience that today’s borrower is looking for. The issues are exacerbated with a refi-boom or when purchase season comes along and sometimes we’re forced to throw more people and manual processes at the problem. To truly deliver on the digital mortgage experience, lenders must not only provide a slick and engaging online point-of-sale tool, but they also must automate the backend mortgage process and communication touch points that impede a truly seamless mortgage experience for the borrower. That begins with automating manual tasks and communication between parties with a solution that offers mortgage lenders the ability to truly enhance the areas of transparency and accountability that are often overlooked. We must consider automation not only around fulfillment staff and borrowers, but realtors, title agents, financial planners, and all other interested parties involved in a transaction. Keeping all parties in the loop is one thing, but automating that communication in a way that continues well after funding, which will lead to a much higher rate of repeat business. The Digital Strategy should include ways for system-driven processes to unfold, as we know more about the transaction. This way, team members don’t need to think about what needs to be done, when it needs to be done, and by whom it needs to be done. Leveraging web and mobile ready solutions is key, however anticipation may be even more important. The more we know up-front, the more we can automate further down the line. With this type of automation, each individual involved in the transaction feels as though a truly personalized service is being provided. For lenders that want to truly deliver on the digital mortgage experience they must realize the importance of automating the entire mortgage process. Lenders that put forth the energy and resources to automate the entire lending process will be able to overcome the “internal technology limitations” that are holding them back from delivering a truly memorable digital mortgage experience. 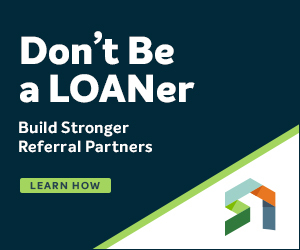 An experience that delivers enhanced communication throughout the lending process reduces the cost to originate loans and increases lender profitability. We spend a lot of time talking to our gadgets these days. Whether we’re seeking directions from Siri or weather updates from Alexa, speech is quickly becoming a preferred means of communicating with technology. A future once at our fingertips now rests at the tips of our tongues. Voice activated technology doesn’t just afford us fun tools for our private lives – this technology is playing an increasingly pivotal role in the professional world, too. And that extends to the small and midsized business space. Voice activation is now helping small and midsized businesses use customer relationship management (CRM) software with more speed and efficiency. This burgeoning feature becoming a game changer in a world where the tech-savviest players win. Here’s how your business can, and should, use voice activation for CRM to its advantage. Voice-activated CRMs have become significant time-saving tools for professionals across the board. They help users interact with data in more targeted ways, meaning they can bypass irrelevant information and skip directly to the data they’re seeking. A time-crunched salesman can simply say: “Alexa, open Act! and retrieve John Smith’s email” rather than opening a CRM program on a computer and manually retrieving the information. Speech-to-text software can be a real timesaver for data entry, too. Rather than the costly and monotonous task of manually imputing data, users can rely on software to submit information via speech. This saves hours. The average worker types 50-70 words per minute. Meanwhile, speech recognition programs can accommodate 120-140 words per minute with near-perfect accuracy. And if you’re serious about saving time, forget texting. A Stanford study found speech recognition to be three-times faster than typing on a phone. As I mentioned, many people are already using voice activation in their day-to-day lives. According to a recent study, nearly 40 percent of smartphone owners use voice recognition software. Naturally, small and midsized business owners and employees will want to use voice activation in their professional lives, too. And smaller organizations are often better positioned to test and integrate new technologies on the fly than enterprise-level companies that come with much longer approval, research and implementation processes. Early stage voice-activated CRMs will consist of a basic integration with well-established virtual assistants such as Amazon Echo, Google Home and Apple HomePod. Users can ease into this advancing technology by mastering the basic skills, and continuing to learn as voice activation becomes more sophisticated. As businesses begin relying more heavily on voice activation, they’ll find there’s no longer a need to bring up a full-blown CRM. Instead, they’ll rely on spoken words to complete a task. The greatest advantages of voice-activated CRM technology are still to come. Though base level interaction tools will continue to pop up over the next 12 to 15 months, this technology is expected to become much more sophisticated within the next year-and-a-half. It’s mind blowing to think about how sophisticated CRM-related artificial intelligence will become. 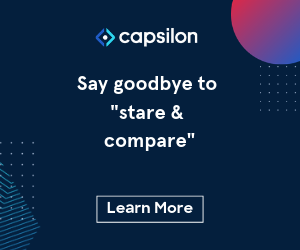 In July, an Israeli startup called Gong received $20 million in funding to develop a tool that uses “natural language processing and machine learning to help train and suggest information to sales people and customer service reps.” How incredible is that? Mainstreaming of such technology will allow small and midsized businesses to take advantage of the processing power that industry behemoths such as Amazon and IBM are investing into. If you can believe it, the speech recognition market is expected to reach nearly $10 billion by 2022. It all translates into tremendous value for small and midsized businesses. Taking advantage of technological advances as they become available allows smaller organizations to adapt faster within their CRM plans, benefit from huge productivity gains, and experiment with less risk. Soon, CRM users will be able to interact with email, set up activities, and even receive recommendations on the next best customer interaction to initiate. They’ll accomplish all this by simply verbalizing a sentence or two. Keyboards aren’t going anywhere…yet. But CRM voice activation is coming fast and finding ways to have your small business take advantage of this new technology to drive better, more meaningful customer interactions can have a real impact on your bottom line and organizational growth. So, drink a nice cup of tea with honey because you may need those pipes at the office tomorrow! Tax servicing companies are tasked with achieving customer satisfaction by processing property tax payments in a timely and accurate manner on behalf of their respective lenders. As a tax service company, we must also consider that customer satisfaction extends far beyond merely achieving (or exceeding) our lenders’ expectations. We also have another client’s interest and satisfaction concurrently at stake; namely, the borrower. The American Dream was founded on the notion that any hard working American family could one day own their very own slice of the land of the free and the home of the brave. Many Americans, nationwide, learned just how desperate holding onto that dream had become after as many as 10 million homes were lost due to the housing crisis in 2008. While tax service companies do not maintain control of the timely remittance of mortgage payments, they do oversee and control property tax payments, which, when left unpaid, can ultimately result in property loss. Paying all property taxes in a timely manner is therefore of the upmost concern. The implementation of key tax procurement check points along with establishing processing prioritization methods are two approaches in maintaining the security of the American home. Servicers should either choose to implement these methods or make sure they partner with a company that does. In order to succeed in obtaining an accurate property tax status, procurement processors must be trained to ask the appropriate questions when working with tax collecting authorities. We find that patience and professionalism are two necessary tools to apply in order to help expedite the tax procurement process. We must understand that tax collectors are busy, especially during peak cycles, and so gathering the appropriate information in a succinct single attempt is both the goal of the procurement specialist as well as the tax collector. Of the many necessary questions asked, we must be sure to determine the appropriate check remit type, whether or not an original bill is required with payment, if a duplicate bill fee is required, whom the check is to be made payable to, whether or not the funds have been turned over to a third party, and who (or what entity) paid the last delinquency of record. While many agencies establish web sites that contain delinquent property tax data, should a processor identify a critically delinquent parcel, it behooves us, as a tax service company, to reach out to the tax office in order to verify that their web site contains all relevant payment details. Each state and tax jurisdiction establishes guidelines in determining how long a property tax can remain unpaid before tax sale, foreclosure and property loss. These guidelines must be gathered and recorded for each of the more than 25,000 tax jurisdictions nationwide. The severity of the delinquencies identified, in terms of when said taxes must be redeemed before loss, are to be prioritized as they are over-laid against the tax agency’s established delinquency guidelines. For example, since a property can be lost within a 12-month period, once property taxes are sold at tax sale, in states such as Connecticut, District of Columbia, Maryland, Rhode Island, South Carolina and Vermont; it is vital to cure all delinquencies before foreclosure proceedings occur. Without the appropriate understanding of the tax jurisdiction terminology, specific to the classification and severity of delinquencies identified, it is literally impossible to proceed. For example, a procurement processor must know and understand how to process a delinquency that has been sold in a tax lien sale. Since tax lien sales consist of the delinquent base tax amounts, accrued interest and additional costs associated with the sale, the procurement processor must be sure to obtain the complete pay off figures. A processor must also know that there is more than one type of foreclosure sale. For instance, foreclosures by judicial sale, more commonly known as judicial foreclosure, are available in every state. A judicial foreclosure involves the sale of the mortgaged property under the supervision of a court, with the proceeds going first to satisfy the mortgage; then other lien holders; and, finally, the mortgagor/borrower if any proceeds are left. It is important to note the type of foreclosure and status of said foreclosure before proceeding with payment. Therefore, procurement processors must be certain that they are picking up only property tax related charges and fees specific to the secured parcel of record. These are just two examples whereby an appropriate level of expertise is required in order to understand, classify and prioritize the delinquent item. It is also important to establish a team of specialists that exclusively handles and processes property tax payments for properties that are at risk of loss. At risk property tax specialists must not only pay taxes in a timely manner, but they must also reach out to the tax jurisdiction to ensure that all necessary funds have been received and applied without any residual balances due. Noting the lender’s system at all points of the critical payment process, including the receipt of the delinquent tax payment itself, naturally provides a sense of satisfaction and security to lenders as well as our borrowers. 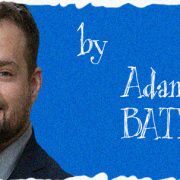 According to ATTOM Data Solutions, which has a large multi-sourced property database, during the last year, there has been a 23 percent reduction in property auctions, foreclosure filings, default notices and bank repossessions, which just so happens to be the lowest level since 2005. While there are undoubtedly multiple contributing factors involved in the aforementioned reduction, we believe that developing and maintaining proper prioritization and procurement strategies is a great way to do our part in helping to protect the American Dream. 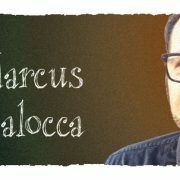 Marcus Balocca, vice president, outsource current disbursement manager, has been at LERETA for the last five years of his 18 years in the mortgage servicing industry. In his tenure, he has managed a procurement department, call center, delinquency department and a mailroom. Balocca has worked on multiple servicing systems and currently manages a collective portfolio of more than 750,000 loans for LERETA. When you think of robots, what comes to mind? Many of us picture human-like machines such as Robby the Robot, C-3PO and R2D2, or even the robotic vacuum cleaners that are prevalent today. But not many of us are quite as aware of software robotics that are emerging, helping to automate business processes. It has been said that robots are the future of mortgage automation. Specifically, robotic process automation (RPA) software tools are helping with efficiency throughout the lending lifecycle. Robots were created to eliminate the human operator, saving on labor costs. Another benefit is the speed at which systems can be deployed. In some cases, these “bots”, as they are known, can be deployed via configuration tools without any additional programming. This decreases overall time to market for new automation and it becomes more of a business-enabled event to make changes versus an IT-event that goes through rigorous change processes and deployment cycles. A number of players in the market offer chatbots and virtual agents to interact with humans. And what if we could accurately predict when a specific loan needed an additional fraud check based on certain parameters? With newer RPA tools, specific, repeatable processes like QC and appraisal ordering can be automated even further than they are today. Many systems have had rules engines and automated service orders for quite some time. RPA can leverage disparate and unstructured data sources to determine proactive process changes for a specific loan scenario. Ultimately, overall error rates can be brought to zero with any task that would leverage RPA. Machine learning techniques in conjunction with RPA, workflow management and load balancing can all become much more sophisticated as well. SLAs can be monitored in real time and adjusted accordingly for a given situation, thereby reflecting the complexity and size of any given task. Today, in most cases, a person has to change the SLA for a given work item manually. Using RPA, your knowledge workers can focus on more strategic items and only deal with the loan cases that require exception handling according to the loan parameters. Another key area that RPA can be used for is the whole concept of RegTech. With constant changes to laws, guidelines, and rulings, and data that exists across multiple, disparate systems, RPA can ensure that customer, property, and other key data is available at the right place at the right time. In fact, data from origination, servicing, and core banking platforms along with data from other non-traditional sources like social platforms can help refine risk models to apply in a given situation and ensure full compliance with all applicable laws. I’ll leave you with one final thought. PWC estimates that up to 38% of existing U.S. jobs are susceptible to AI and RPA by the early 2030s, but the nature of what humans do will change versus their roles disappearing altogether. 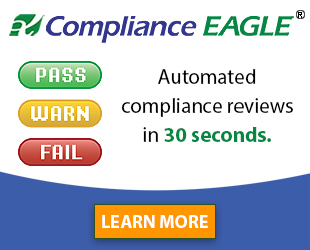 RPA provides a level of automation that few companies have experienced as of yet. It allows lenders to become much more predictive and proactive to customers’ needs and wants via anticipatory models versus reactive as is the case in a number of operations today. Instead of replacing humans, RPA allows more focus on customer experience enhancements and strategic changes, improving the overall lending experience while gaining huge efficiencies and cost savings. 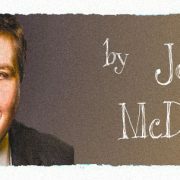 Joey McDuffee is director at Wipro Gallagher Solutions, a Wipro Ltd. company (NYSE:WIT), which is a provider of end-to-end technology products and services for mortgage, consumer, and commercial lenders in the United States and abroad. WGS’ technology products include its flagship NetOxygen Loan Origination Systems (LOS) and mobile lending technologies. For more information about Wipro Gallagher Solutions, visit the company’s website at www.wiprogallagher.com. Email marketing is one of the original and often most successful forms of digital marketing. But email is kind of like your favorite restaurant—just because it’s popular doesn’t mean you can let quality slide. One bad meal (or email) can have damaging effects on a brand. We’ve all received a marketing email with a blatant spelling error or broken link. It happens, but it doesn’t do much for the credibility of the sender, and it might just go straight to the trash. And if you’re on the other side of a marketing email, you want to avoid errors at any cost! Today’s infographic by direct mail management company Citipost Mail will help you do just that. It lists 10 things to avoid in an email. And if something does go wrong (perish the thought), the graphic advises four steps to manage the damage. As the mortgage industry becomes more advanced, sometimes classic strategies are still worthy of use. 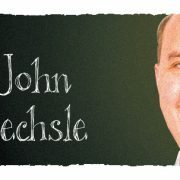 For example, in the article entitled “Creating Lead Magnets That Convert” by Clayton Johnson, he says marketing techniques are amazing. No matter how much technology advances online, some techniques never go out of style. One of these classics is a lead magnet. Let’s take a look at what lead magnets are and how they can improve your marketing efforts. Traffic is great. But online success is about more than just driving people to your site. You want visitors who are actually interested in the products or services you provide. Lead magnets are a marketing technique used to attract leads that are likely to convert. Basically, you offer something for free in exchange for the person’s email address. Then, you send this potential customer additional emails. Each email provides additional free content as well as information on your brand. Slowly but surely, you’re driving the customer toward a sale. This process is called a conversion funnel. Here’s the thing. Suppose you sell designer furniture: You decide to offer a free product in exchange for email addresses as a way to generate some leads. You can probably get a ton of email addresses if you offer free iPads or big-screen TVs. Of course, that would be incredibly expensive, but you’re almost guaranteed to get a lot of responses. The problem (aside from the cost) is that those email addresses aren’t going to be very good leads. Pretty much everybody wants a free iPad. There’s no particular connection between people who want a free iPad and people who want to buy designer furniture. >>Is this content something your audience will care about? >>Does this content have any real-world value? >>Does this content help solve a problem? The first step to success is to understand your audience. You’ll want to develop a buyer persona. This is a detailed, fictional person who represents your larger customer base. You’ll also want to understand how your brand is perceived. The ideal piece of content is something you can create for free but other people are willing to pay more for. This often means creating written content like an e-book. A great way to find out what type of information is popular in your niche is to search the Kindle Marketplace. What e-books are selling well? What type of format does the audience respond to? When you’ve found some best-selling e-books, take a look at the reviews. Are there any common complaints? You’re looking for shortcomings. The idea is to create a better e-book and then offer it for free. You’ll promote the book by showcasing how your e-book has information the competition lacks. >>You’ll learn about the specific topics your potential audience is interested in. >>You’ll create advanced buzz and excitement for your e-book. Of course, once you do this you need to actually finish the e-book. If you can’t deliver on your promise, your customer base will have a hard time trusting you when it’s time to make a sale. But as long as you deliver, an announcement is an effective strategy. Creating free content can pay off big time in terms of brand awareness and conversions. Following the tips above will focus your marketing efforts on people who are most likely to be interested in the products or services you provide. Michael Hammond is chief strategy officer at PROGRESS in Lending Association and is the founder and president of NexLevel Advisors. They provide solutions in business development, strategic selling, marketing, public relations and social media. He has close to two decades of leadership, management, marketing, sales and technical product experience. Michael held prior executive positions such as CEO, CMO, VP of Business Strategy, Director of Sales and Marketing and Director of Marketing for a number of leading companies. He is also only one of about 60 individuals to earn the Certified Mortgage Technologist (CMT) designation. Michael can be contacted via e-mail at mhammond@nexleveladvisors.com. Pavaso, Inc. (Pavaso), a provider of digital closing and collaboration solutions for the mortgage and real estate lifecycle, has partnered with Gregg & Valby, LLP (Gregg & Valby), a Texas law firm and technology provider with a 40 year history of representing financial institutions and independent mortgage companies. The partnership will integrate the technologies of both companies, allowing for a seamless transfer of nationwide closing documents into the Pavaso Digital Close platform electronically. Gregg & Valby serves clients across the country in document preparation and legal and regulatory compliance matters for both mortgage loan origination and servicing activities. The Firm also provides nationwide mortgage loan fulfillment services. Pavaso’s Digital Close is a powerful closing solution that enables mortgage lenders and their business partners and consumers to communicate, collaborate and work in one central virtual location. This alliance not only meets the demands of today’s tech savvy consumers, but it streamlines workflows, provides extraordinary efficiency and helps organizations increase productivity by eliminating manual steps.